That fall is an all-around amazing time of year. 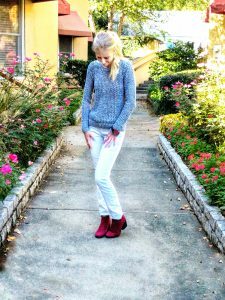 The vibrant colors of the leaves, the smell of cinnamon and pumpkin, and the perfect weather for busting out those adorable sweaters and boots you’ve been waiting all summer to show off. But how do you stand out in an ocean of oversized sweaters, knee high boots, and suede skirts? With a statement piece that will catch their attention, duh! 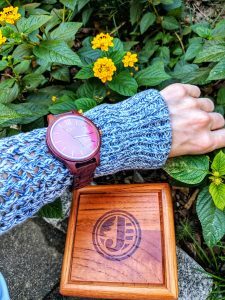 So enter JORD – a company that makes GORGEOUS watches from 13 varieties of unique, natural woods. Yep! That’s correct. 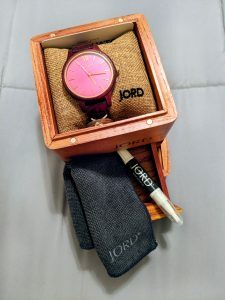 All JORD watches are made from naturally sourced woods from around the world, and a sapphire glass that is “second only to diamond as the hardest and most scratch resistant [material] on earth (1).” Needless to say, these are quality pieces and you truly get what you pay for! Not to mention how stunning and intricate the wood colors and patterns are. And these watches aren’t just for the ladies. They have just as many cool choices for men too! You can shop them by style, social media posts, and materials. So are you curious what they all look like?! I knew you would be! You can view all of the women’s styles here and the men’s styles here. Oh, you know… just sharing the coolest watch I’ve ever owned! 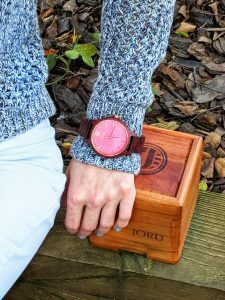 This gorgeous piece from @jordwatches is made from real wood and custom sized to fit your wrist. There are a variety of colors and styles available with unique wood patterns that you won’t find in other watches. The one I’m wearing is the Frankie Purpleheart and Plum (see it here), and my other favorite is the Fieldcrest Maple. (You can check out all styles here). 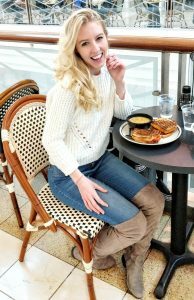 No matter which style is your favorite, they’re all perfect statement pieces to show off and get people talking all season long. If not, let me explain a few other reason why you will absolutely love your JORD watch. Not only will it be the star accessory of your entire look, but it will be custom fit for you, it’s a top quality stunning piece that will last years, and it comes in a marvelous solid wood keepsake box (keep reading to see it)! Below I explain all of the special options that make these watches so unique and desirable, and why you’ll be so thrilled that you decided to purchase one. I promise you will NOT be disappointed! There are a variety of unique, fashionable designs to choose from for both men and women. There are classic solid wood watches, watches with a square face, watches with sophisticated metal accents, and there’s even one with a “zebra” design. They have options with large watch faces, or small; light colored wood or dark woods. What’s really neat is that no two watches will look exactly the same because of the wood grain and natural patterns in the wood. So you’ll have a custom watch, and nobody else’s will look exactly like yours!! Once you’ve selected your favorite design, the REAL customization begins. There are a few special options and perks when ordering your watch. You have the option to get an engraving in your watch to make it extra special, and it will be custom fit to your wrist measurement (so no sliding around)! If you want to make your watch truly memorable, you can choose to have an engraving on the back of the watch, or on the presentation box. Engravings are the perfect option for birthdays, anniversaries, or simply for a cherished memory. Choose to have a name and date, a quote, or a personalized message engraved – it’s fully customizeable and up to you! You have the option of block text or script writing for both a classic or elegant look. There are some beautiful examples of engravings on the JORD engraving page. I think my favorite thing about JORD is that they make your watch custom to fit your wrist. I have tiny wrists, so I’m always having to put watches on the tightest setting with a long band piece sticking out. Not with JORD! They have a sizing ruler for you to print out and measure your wrist to make sure you get the best fit for your wrists. When you print the sizing ruler, DO NOT “fit to page” because that will mess up the sizing on the ruler and your watch won’t fit! When mine printed, part of it was cut off, so I measured from the other end and simply counted the number of marks in my measurement (mine was 15 and I have small wrists). Your size, this number from your measurement, will be needed when ordering your watch – it is very important! Also, think about what you’re going to be wearing your watch with when you measure. If you’re going to wear it straight on your wrist, measure normal. If you plan to wear it over a sweater sleeve, take your measurement over a sleeve to make sure it will fit. Every watch comes in a supreme quality durable wooden presentation box complete with a magnetic lid and pull out drawer to keep the small pieces in so they don’t get lost. 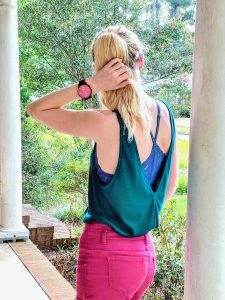 These watches are so versatile that you can wear them with pretty much anything. 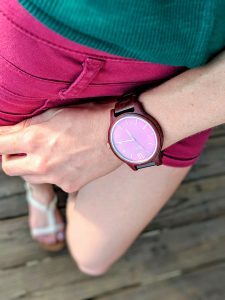 Since I have the purpleheart wood watch, I decided to pair mine with rich fall hues like burgundy, emerald, and hints of blue. 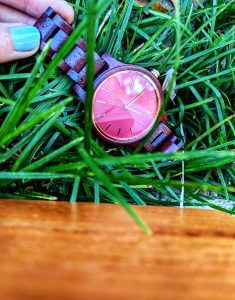 All of the watches come in natural colors and easily pair with other neutrals, or complement vibrant pops of color. Are you a watch person? 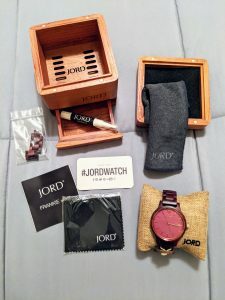 What is your favorite JORD watch? If you’re looking for a pop of color, I recommend my Frankie Purpleheart & Plum. If a neutral color is more your style, my favorite is the Fieldcrest maple, which also has a smaller face for smaller wrists. If you need additional ideas for styling your watch, there are styled photos at the bottom of each watch style for further inspiration. Leave a comment below to let me know which watch you’re wanting this fall. 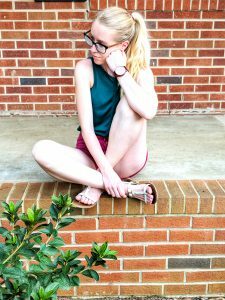 I’d love to see photos of how you style your watch! JORD and I have teamed up to give one lucky reader a $100 giftcard to use for your watch!!! There’s only TWO simple steps for entering this giveaway. It’s so easy… so why not?! That’s it! Super simple. And now you’re entered to win $100! WOO HOO!